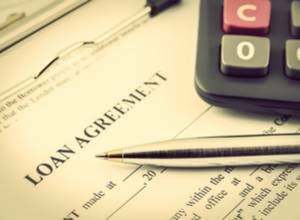 When a borrower is defaulting or about to default on a loan, the lender can offer to modify the loan agreement to allow the borrower to repay the debt and avoid the consequences of violating the agreement. Loan forbearance is a tool that lenders and borrowers use to temporarily reduce or stop debt payments. The borrower agrees to repay the missed payments at a later date, with interest sometimes added. Forbearance is most often used when a borrower is going through a temporary financial hardship and anticipates being able to catch up on the payments once the hardship has passed. However, forbearance is different from loan modifications, and some of the differences can be advantageous to a lender. A group of Illinois State Representatives has introduced a package of bills that are meant to increase debtor protection against creditors. The bills are all stalled at the committee level, putting their future in doubt. However, that is unlikely to stop the legislators from continuing to push these bills or from creating similar bills in the future if the current bills die. The laws would reduce a creditor’s ability to collect on outstanding debts by shortening the window of opportunity to enforce a debt judgment, reducing interest rates on debts, and providing greater protections for debtor assets. 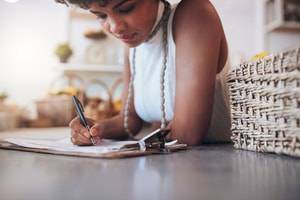 As a small business owner, you likely do not think of yourself as a creditor. However, that is the role you have taken when you allow customers to repay you over time for products or services provided. Collecting debt sometimes requires being more forceful with debtors than you are comfortable with. Because you deal with your customers personally, it may be awkward to hold them accountable for unpaid debts. You can minimize confrontation during debt collection by acting quickly and being thorough. Before repossessing a vehicle, an auto lender must confirm whether the owner is a U.S. military member on active duty. The Servicemembers Civil Relief Act includes a section protecting active servicemembers who default on their auto loans. 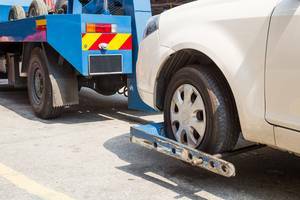 The auto lender must obtain a court order to repossess the vehicle. The order may include forms of financial relief not normally given to vehicle owners. Failing to comply with the SCRA can be a criminal offense. Businesses are some of the most lucrative clients for finance companies because they need loans to purchase goods or equipment. A well-timed loan can help a business eventually turn a profit and lead to long-term relationships with financiers that benefit both sides. However, businesses are also liable to default on their debts, which may be substantial depending on how much they needed to purchase. Finance companies must use their best judgment in determining how aggressive they should be with business clients. After a judge rules that a debtor must repay a creditor, the two parties will often find themselves back in court as part of the debt collection process. 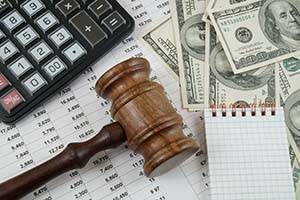 The creditor has several tools at its disposal, such as wage garnishment and seizing collateral property. However, the process must start with determining what resources the debtor has available. In Illinois, a creditor can file a Citation to Discover Assets, which compels the debtor to appear in court and answer questions under oath. With this opportunity, it is important for the creditor to ask questions that will help it uncover the debtor’s true asset values. Property Importance: Some collateral property during a bankruptcy has greater value to a debtor than others. A debtor may be more eager to hold onto real estate and personal vehicles than luxury items. Thus, debtors will be more receptive to proposals that allow them to retain possession of important properties. Realistic Plan: A court will reject a reaffirmation agreement that puts an undue burden on the debtor. Debtors must also be current on their debt payments in order to enter an agreement. Creditors should understand whether debtors will have the financial means to make payments after bankruptcy. If a debtor does, the creditor can explain why it is reasonable to reaffirm the debt. Short-Term Debt: In some situations, the remaining debt on an agreement may be small enough that the debtor could repay it in a year or less. 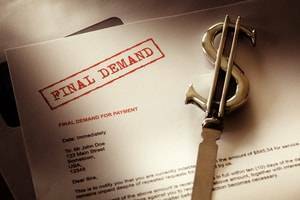 Offering short-term repayment plans that allow them to keep their properties may be more palatable to debtors. Modifying Loan: The debtor may need an extra incentive in order to reaffirm a debt. The creditor can present an agreement that lowers the burden on the debtor by reducing the monthly payments or interest rates. A better deal may entice a debtor to reaffirm. Debtors must state their intention to reaffirm debts before their debts are discharged during Chapter 7 bankruptcy. Though either party can file a reaffirmation agreement, creditors are most often the ones to initiate the discussions. 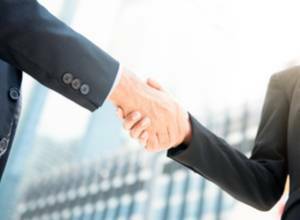 Reaffirmation agreements must be filed within 60 days after the first meeting of creditors. A Chicago creditor’s rights attorney at Walinski & Associates, P.C., can help you negotiate a reaffirmation agreement with your debtor. Schedule a consultation by calling 312-704-0771. 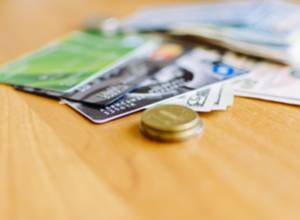 Debtors have multiple payment methods they can use to transfer money when repaying debts. Some forms of payment incur additional convenience fees, such as when debtors use credit cards or money orders. Creditors have at times formed agreements with the third-party vendors to share these convenience fees. However, they should examine state laws and their contracts with debtors before entering such agreements. Creditors and debt collectors are often prohibited by law from collecting convenience fees and may be punished for doing so. Understated Debt: A debtor’s proposed repayment plan may exclude certain debts that he or she is required to repay. Priority debts must be part of the repayment plan. Mortgage and auto payments may also need to be included if the debtor wants to keep the related properties. Insufficient Payments: Unsecured creditors must receive compensation from the repayment plan that is at least equal to what they would have received by liquidating properties in Chapter 7 bankruptcy. This is the tradeoff that debtors must make in exchange for keeping those properties. 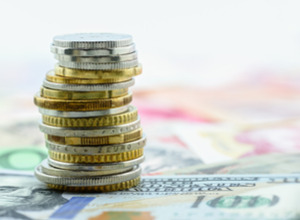 Withholding Disposable Income: Plan payments must use whatever income is left over after necessary living expenses and other financial obligations. Some debtors will try to hide how much money they make so they do not have to repay as much of their debts. Unsustainable Payments: A repayment plan should be based on what the debtor will realistically be able to afford. The plan may fail if the debtor cannot prove he or she will have the income to maintain those level of payments. Unqualified Debtor: A debtor is allowed to file for Chapter 13 bankruptcy only if he or she meets certain requirements. The debtor does not qualify if he or she has insufficient disposable income, is behind on income tax payments or has debts that exceed the legal limit. Bad Faith Plan: The debtor must be honest and fair with his or her creditors when creating a repayment plan. 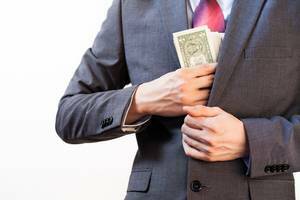 Any evidence that the debtor tried to deceive his or her creditors may terminate the plan. If the court upholds your objection, the debtor will have to revise the plan or abandon filing for Chapter 13 bankruptcy. The debtor may still be able to file for Chapter 7 bankruptcy if he or she does not qualify for Chapter 13. 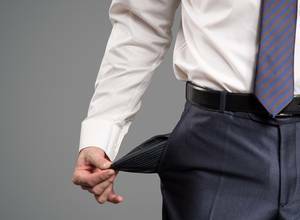 A Chicago creditor’s rights attorney at Walinski & Associates, P.C., can identify objectionable aspects to a debtor's bankruptcy repayment plan. To schedule a consultation, call 312-704-0771. The Federal Housing Administration, through the Department of Housing and Urban Development, offers protected loans to help lower income borrowers obtain mortgages. 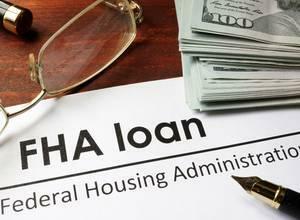 The FHA insures the loan, which gives the lender greater certainty that it will be compensated in case of default. As part of the FHA insurance, the lender must follow federal guidelines in contacting borrowers when they default on the mortgage. Failure to document compliance can halt foreclosure efforts on the property. When a debtor borrows money from multiple creditors, an intercreditor agreement can be helpful in determining the rights of each creditor. The primary purpose of the agreement is to establish which creditor receives priority in case the borrower defaults on its debts. The higher-priority lender is called the senior creditor, and the other lender is called the junior creditor. In the event of default, the agreement may state that the senior creditor must be repaid in full before the junior creditor can take action on the debt. However, the agreement can also include provisions that will protect the junior creditor in case the senior creditor takes action that impairs the junior creditor's ability to collect on its debt. Depending on the severity of the action, a court can decide to strip the senior creditor of its priority claim on the debt. Allowing them to continue the same lifestyle with no consequence. A debt settlement company cannot stop you from contacting them about their outstanding debts. Instead, you are more likely to contact them because they have stopped making any payments. You are not obligated to work with a debt settlement company. Some companies regularly make unacceptable settlement offers or are generally disreputable. The debt settlement company’s plan will increase their debts. A debtor may need to stop paying you for years in order to save enough money to make a settlement offer. During that time, you are likely to add interest to what is owed. They may pay more using a debt settlement company than if they had negotiated directly with you. Besides the company’s fees, there is a tax obligation. The IRS considers any debt that you forgive to be taxable income for the debtor. Nothing is stopping you from suing them for their outstanding debts. If the court rules in your favor, you may use tools such as asset seizure and wage garnishment to collect your debt. The debt settlement process will hurt their credit ratings. Intentionally missing debt payments will affect how future creditors will view them. 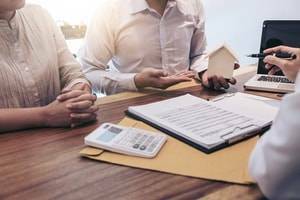 When a lender concludes that it must foreclose on a mortgage, it likely wants to get through the process as quickly and smoothly as possible. The sooner the lender can reclaim the property, the sooner it can try to find a new buyer and recuperate the cost from the failed mortgage. However, the foreclosure process does not work quickly. 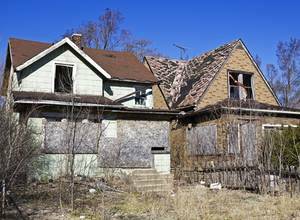 While this is inconvenient for all mortgage lenders, the situation is most dire for those trying to foreclose on an abandoned property. Recognizing this problem, Illinois is one of the few states to have a fast-track foreclosure law. 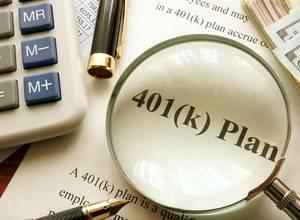 A Chapter 13 bankruptcy trustee in Illinois recently objected to a debtor’s request to exclude $200 per month from his disposable income in order to contribute to his 401K retirement plan. The trustee questioned the motivation of the decision because the debtor had not made any contributions to the plan in the six months prior to filing for bankruptcy. However, an Illinois bankruptcy court denied the objection, stating that the debtor was within his rights. The ruling shows how bankruptcy courts treat retirement plan contributions as a protected expenditure. Illinois trial and appellate courts have been going back and forth on a debt collection case between Bank of America and a small business owner. Bank of America is suing the former owner of All About Drapes for the remaining value of an unpaid loan, plus interest and legal fees. The business owner counters that he was induced into signing the loan agreement because the bank falsely claimed that his previous line of credit was expiring. 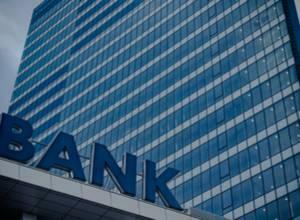 The trial court has twice ruled in favor of Bank of America in a summary judgment, but the appellate court overturned that decision each time. 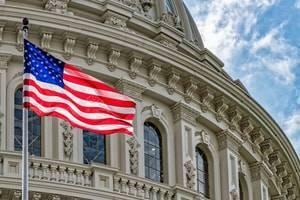 The Consumer Financial Protection Bureau has created new regulations meant to protect borrows against risky short-term and long-term loans with balloon payments. Commonly known as payday loans and vehicle title loans, these types of loans are usually issued in storefronts and online to consumers who need immediate cash and have difficulty obtaining a traditional loan. The CFPB claims that creditors who issue these loans use unfair and abusive practices by giving loans that they know consumers will be unable to repay and being overly obtrusive in their collection methods. 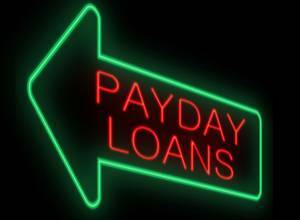 With the new regulations, the CFPB hopes to make the payday loan industry adhere to some of the standards established in other credit industries. A company that has extensive debts has many means by which it can attempt to avoid its creditors. One such way is when a second company purchases the debtor company and its assets. The debtor company often no longer has its own assets that its creditors can claim. Creditors may instead seek compensation from the second company that purchased the debtor company. However, Illinois law presumes that a buyer is not responsible for the debts and liabilities of the company it purchases. Business owners may try to abuse the law by essentially continuing to run a company under another name, while dodging creditors. Fortunately, Illinois courts allow creditors to claim successor liability in order to collect debts from successor companies. The creditor must prove one of four established exceptions that transfer debt liability to a successor company. Successor liability claims are most simple to prove when the successor company has a written or verbal agreement to assume the debts of the company it purchased. However, the successor company can also expressly state that it is not liable for the previous company’s debts. In some cases, the purchasing agreement does not mention debt liability. Creditors can examine the agreement to determine if there is an implied assumption of the debt. A court may interpret the assumption of a contract or obligation from the previous company to imply the assumption of other liabilities. Creditors who take legal action against uncooperative debtors can view their debt retrieval as happening in two overarching stages. The first stage is receiving a court judgment that quantifies the monetary amount that the debtor owes the creditor. The second stage is retrieving the judgment debt from the debtor. Judgment enforcement of a debt can require further legal measures. Though the debtor is legally obligated to compensate the creditor, the debtor may claim financial hardship in order to delay or deny repayment. Creditors can use a citation to discover assets, which forces the debtor to disclose all of his or her available assets. One of the purposes of forming a corporation is to separate the debt liability of the business from its shareholders. When a corporation defaults on its debts, the creditor is often limited to collecting the debt from the corporation itself. If the corporation has insufficient assets or dissolves, it becomes more difficult to retrieve the full debt. However, courts will allow a creditor to seek compensation from a corporation’s shareholders in certain situations. 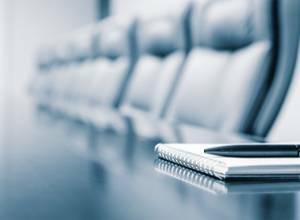 The practice is called piercing the corporate veil, and its success depends on the type of corporation and how closely the shareholders are connected to it.